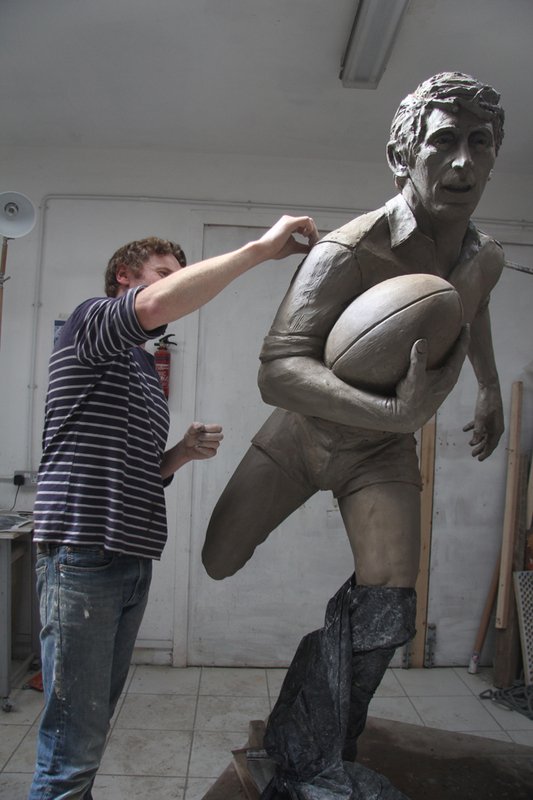 Stephen was commissioned back in April 2016 to create a larger than life size bronze statue of Leigh Centurions legend, John Woods. 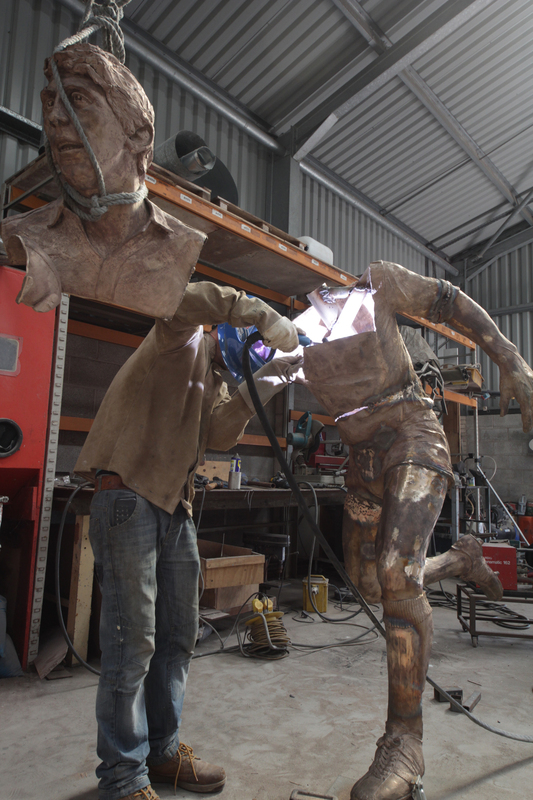 The statue took over 3 months to sculpt and cast in bronze, all of which was undertaken by Stephen at his own workshop and foundry. 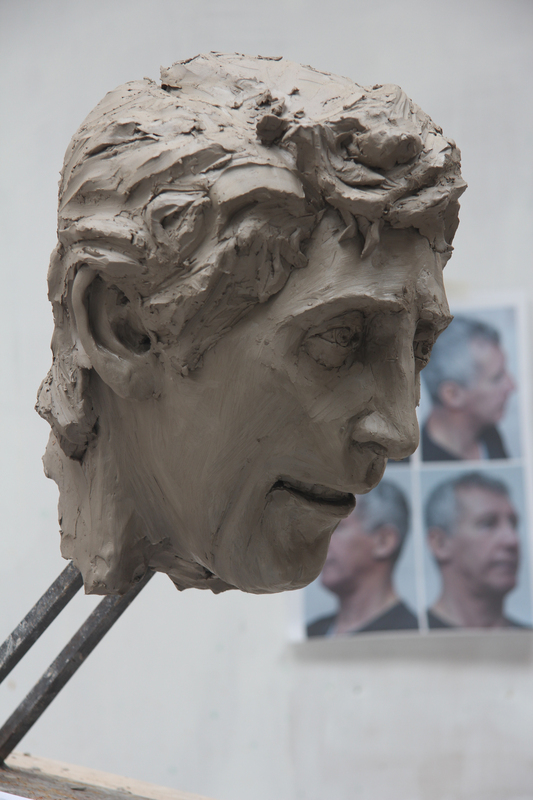 The 7ft statue of Leigh’s top point scorer John Woods, officially went on display at its new home outside Leigh Sports Village in September 2016. The unveiling took place on John’s 60th birthday and coincided with the Centurions promotion to the Super League. 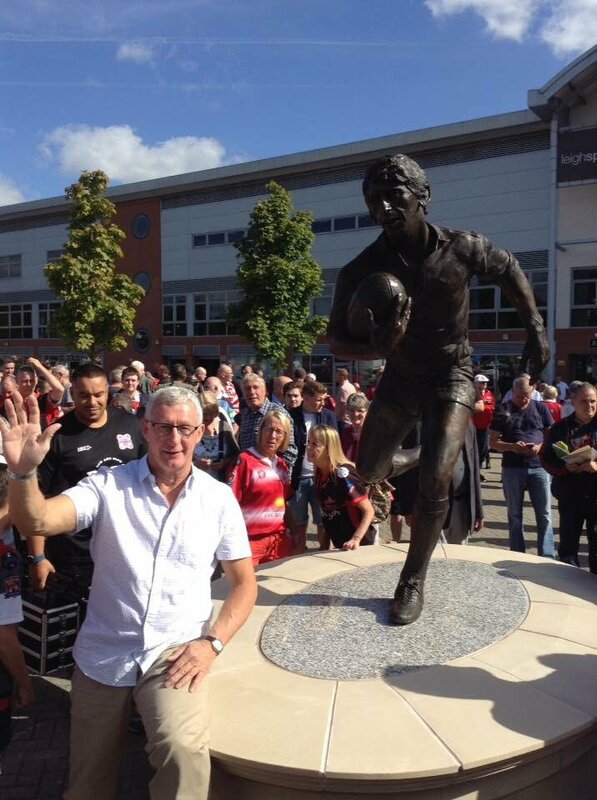 The tribute to John, known as Woody, was unveiled by the man himself alongside former Leigh chairman Brian Bowman and was watched over by a large crowd including fans, former players, councillors and Leigh MP Andy Burnham.